In GIS, we (and others) built a model of the whole world, and it’s a pretty good one albeit with much still left to do. Geographers, cartographers, and geographic information scientists routinely create immensely valuable insights, data, methods, techniques, and tools that clearly advance science, but it's mainly other disciplines that apply them to science theory. We invite and urge other people to use this new scientific instrument, the macroscope, and we should. So far, so good, but if we don’t use it ourselves, then we become merely the clerks of science. We do the calculations while others make the discoveries that matter to science and society . . . others advance the theories . . . others make the headlines . . . others get to replicate themselves through new job openings and higher salaries that draw the best and brightest. In the final year of my teaching career, I witnessed two fresh Ph. D.s fall into the clerk’s trap while interviewing for assistant professorships at two separate universities. Both of them were intellectually bright and scientifically rigorous, but they looked like lackeys. The telltale mark came when the first thematic question was asked and awkwardly left unanswered. At that point, it became obvious that the studies they touted as experience were not their own but rather tasks assigned to underlings. We can continue indefinitely in a subservient role, acting as the clerks of science, but surely it will be better to join the fray, aggressively questioning conventional wisdom and formulating new science theory ourselves. The same applies to business and government with policy and strategy replacing scientific theory, though clearly our community has made more headway in those arenas. How can we ourselves go beyond our usual bounds and add some geographic/cartographic/GIS heat to the crucible of science? The quickest and most effective way will be for GIS practitioners, regardless of academic background, to embrace geography, immersing themselves in its traditions and questions. Many have been reluctant due to disciplinary rivalry. Ironically, geographic information science has grown more independent of geography and yet more subservient to everyone else. Meanwhile, too many geographers have slipped into a new subservient role of their own−critiquing rather than doing−and speaking in tongues (jargon) rather than reasoning, rejecting quantification, denying the real world, and theorizing without testing in the real world. For most of my career I’ve stood firmly in the middle, advocating GIS to geographers and geography to GIScientists. In 1983, I wrote “Automated Geography,” which is recognized as a turning point in the placement of GIS within geography. That argument was less successful in convincing GIScientists to support the discipline. “Automated geography” lost out to “geographic information science” and later to geospatial whatever. 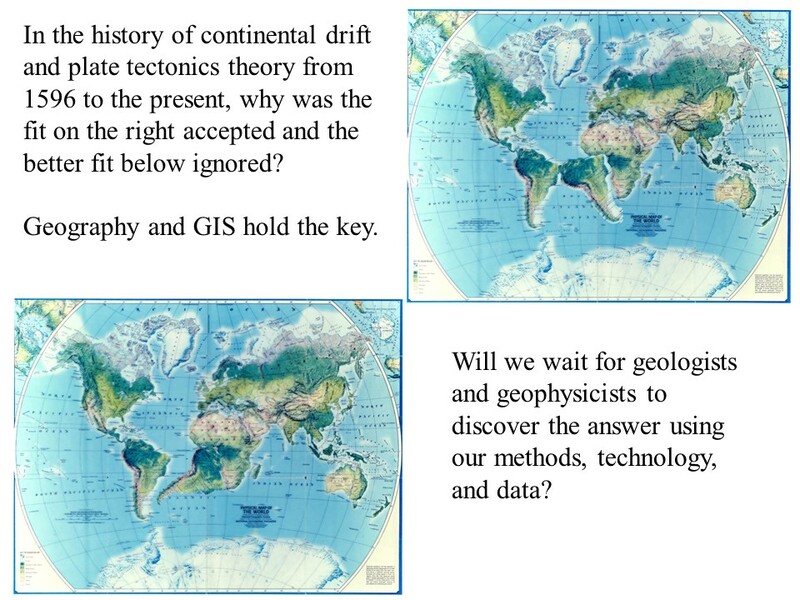 Now several geography departments have lost out to “geospatial” technology programs, and there’s an attempt to anoint a new spatial discipline that is not geography. Going forward, the partnership of geography and GIS is vital to the success of both. Détente is essential, and both camps must reinvent themselves over the next generation and more. Fortunately, AP Human Geography is one of the fastest growing advanced placement courses in U. S. high schools, and plans are underway to create a new AP course in GIS. Surely, a new generation steeped in both can automate geography in ways that shake all science to its core. Surely we can be appreciated jointly as geography is respected elsewhere around the world. Together, perhaps we can fulfill the promise of GIS while restoring the prominence that geography held in classical times, the Renaissance, and the first half of the 20th Century. Comments on "Reinventing GIS and Geography, by Jerry Dobson"